Everyone deserves to have a smile that reflects his or her unique personality. We offer a wide range of cosmetic services so that we can make your smile desires a reality. You may benefit from a little conservative cosmetic dentistry such as bonding or teeth whitening. Or for an unforgettable first impression and to put that extra sparkle in your smile, our cosmetic dentists may recommend porcelain veneers or Lumineers. 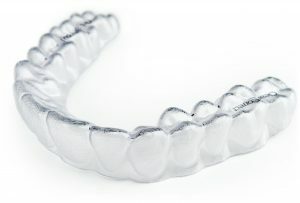 We also offer Clear Correct for adults who want straighter teeth without the hassle of metal braces. Teeth whitening, porcelain veneers, orthodontics, replacement teeth…so many options exist to help you achieve the smile of your dreams. Our team can help you with scheduling, financing and determining which treatments will give you the smile you’ve always wanted. We encourage patients to bring photos of some of their favorite celebrity smiles so that we can pinpoint attributes to incorporate in a smile makeover plan. The dentist will examine your oral health, discuss your vision of a gorgeous smile and study the dynamics of your face, mouth, and skin tone. We can then plan a smile makeover to suit your personality and unique style. The dentist will explain your options and show you the potential results of the proposed treatment plan. 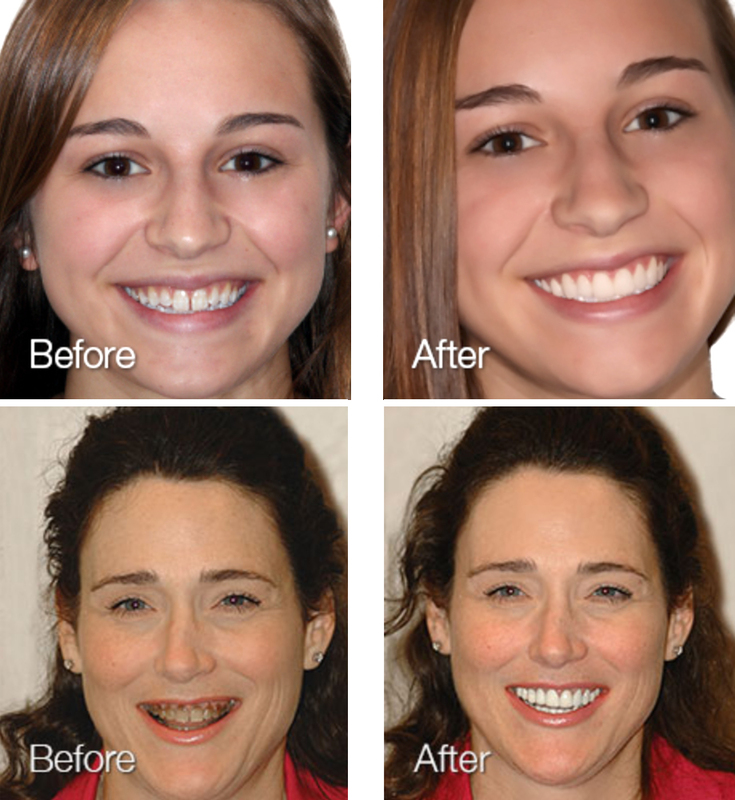 The time involved in your smile makeover will be directly determined by the procedures you decide upon. For minor crowding and spacing or more severe cases of malocclusion and misalignment, Hudec Dental offers ClearCorrect. ClearCorrect is the simple, effective way to straighten your teeth and achieve your best smile, without the limitations of braces, wires or brackets. With a series of clear, custom, removable aligners, you’ll be able to gradually straighten your teeth a little bit at a time. It’s practically invisible and most people won’t even notice you’re in treatment. Plus, the aligners are easier to keep clean, providing better control for your dentist and better results for you. If you have a chipped, slightly misaligned, or otherwise imperfect tooth that needs cosmetic restoration, we may suggest one-appointment bonding. The dentist can apply liquid composite resin, shaded to blend with your tooth’s color, to rebuild a pleasing shape to your tooth. After hardening the resin with a curing light, he will artistically sculpt and polish the restoration. In just one visit, you can enjoy a beautiful new smile! 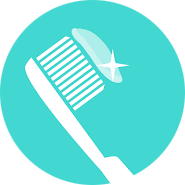 Do you want to solve all of your cosmetic dental concerns in just two short visits? Are you hesitant about porcelain veneers because of the tooth reduction involved? 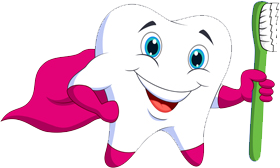 At Hudec Dental, we have just the solution. We offer Lumineers, no-prep veneers that mask stains, close gaps, and cover imperfections for an instant smile makeover. Lumineers are made from contact-lens-thin Cerinate porcelain so they can be adhered directly to the front teeth without removing any tooth structure. The procedure is totally reversible, enabling you to return to your natural smile if ever you choose. Many patients prefer Lumineers’ minimally-invasive procedure, but others prefer traditional porcelain veneers because of the totally custom design. 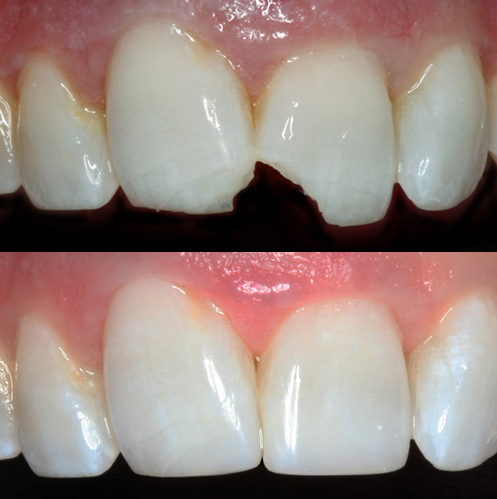 Porcelain veneers are becoming increasingly popular because they provide beautiful natural-looking results. Teeth that have gaps or spaces between them, are discolored, badly shaped or crooked can often be corrected with porcelain veneers. Teeth that have been damaged by trauma or teeth that have developmental defects can also be restored with porcelain veneers. Porcelain veneers are thin shells of high-quality porcelain that are custom-designed to cover the front surfaces of the teeth. 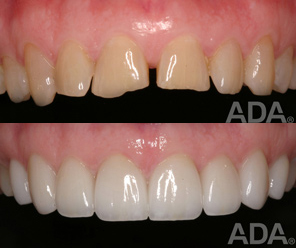 Modern porcelain veneers are very thin, translucent, and natural-looking. Our cosmetic dentists will carefully consider your mouth, facial features, skin tone, and personal preferences while designing veneers that will transform your smile. In just two short visits, you can begin enjoying your perfectly aligned, dazzling white smile. 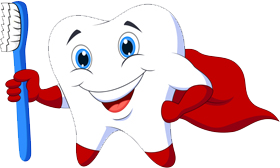 Teeth will naturally darken over time, and things like coffee, tea, tobacco, and medications will speed up the process. 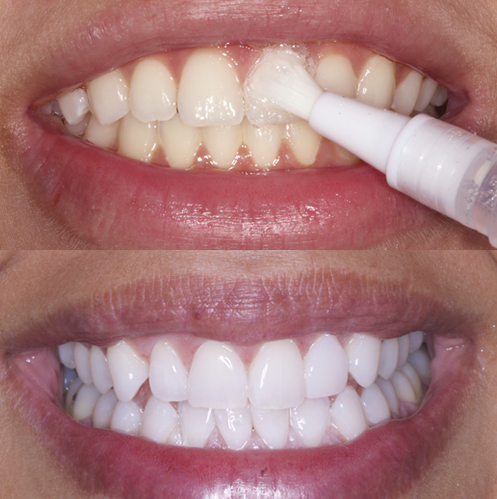 Dentist-supervised teeth whitening has been proven the safest and most effective way to eliminate stains and reveal your bright, youthful smile. If you’d rather whiten your teeth in the comfort of your own home, we can provide a professional at-home teeth whitening kit. Unlike over-the-counter strips which only cover the front teeth, we will make custom trays that fit over all of your teeth. Just fill the trays with the extra-strength teeth whitening solution we provide and wear them for an hour or two every day. In about two weeks, your teeth will shine eight shades brighter than when you started. Use the trays about once a month to maintain an indefinitely white smile! Yes, you read correctly, we offer Botox! We now offer this service at our Strongsville and Euclid offices. 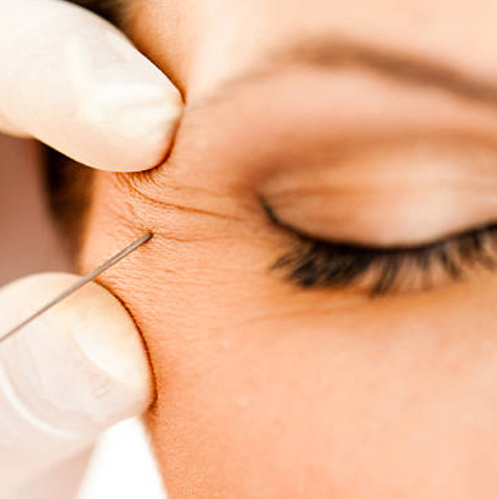 If you have further questions regarding Botox, contact us at 216-661-8888 or check out our blog post which highlights the benefits of Botox.